Regular readers of the Florent Schmitt Website + Blog know that sometimes we “relax the routine” and publish an article that focuses on a different composer – usually a contemporary of Schmitt. Of the many fellow composers who Schmitt interacted with during his lengthy career, one with whom he shared an enduring professional and personal bond was Maurice Ravel. The two artists were born just five years apart – Schmitt in 1870 and Ravel in 1875 – and were fellow-students at the Paris Conservatoire. Thus, they found themselves inextricably linked together in the musical life of Paris in the late nineteenth and early twentieth centuries. 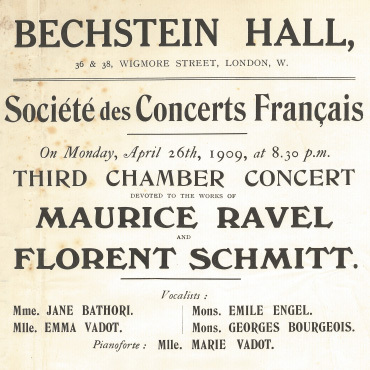 Florent Schmitt and Maurice Ravel made their U.K. performing debut in 1909 on the very same program at Wigmore Hall in London. Both composers performed their own piano works and accompanied vocalists. Early on, we find the two composers collaborating in performances of their piano music – including a trip to London in 1909 during which they presented their piano duo compositions together in recital at Bechstein (now Wigmore) Hall. 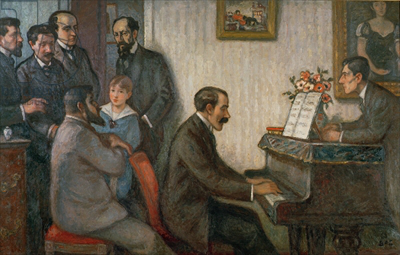 Schmitt and Ravel were also founding members of the Société des Apaches, a group of French musicians, painters and writers formed in 1900 who represented the more non-conformist strains of Parisian artistic society. 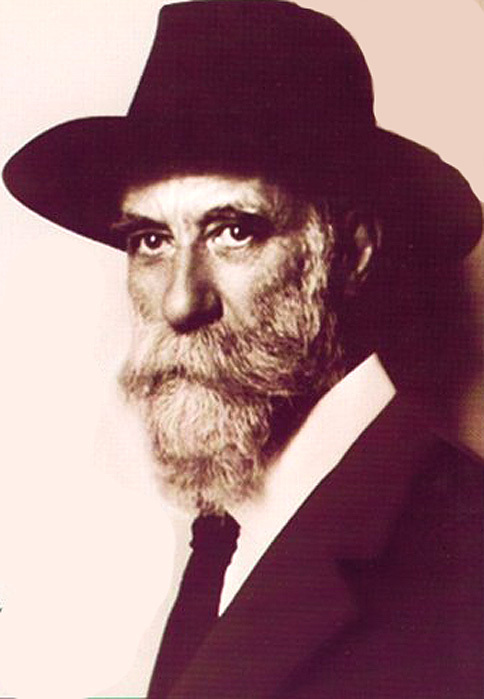 In addition to Ravel and Schmitt, members of the group included composers such as Manuel de Falla and Igor Stravinsky as well as literary figures like Léon-Paul Fargue. Les Apaches (1910), a painting by Georges d’Espagnat. Florent Schmitt is pictured at far left; Maurice Ravel is at far right. There have been several accounts written about the time Ravel announced to his circle of Apache friends that it was impossible to write effectively for piano anymore. Florent Schmitt then proceeded to create his remarkable Les Lucioles (Fireflies, Op. 23, No. 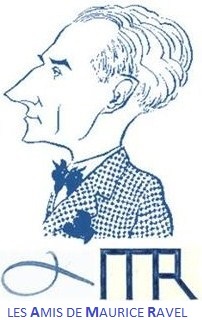 2) in reaction to his friend’s contention, which subsequently prompted Ravel to compose his famous Jeux d‘eau. This incident illustrates how closely linked these two figures were in day-to-day Parisian musical life – and how each fed off of the other’s inspiration. Undoubtedly, one of those in agreement is Michael Feingold, an orchestrator whose artistic journey has taken him from the world of rock/pop to classical music – in particular the music of France’s “golden age” as characterized by Dr. Rife. Indeed, since 2014, he has orchestrated no fewer than twenty Ravel compositions that were created originally for piano or voice. 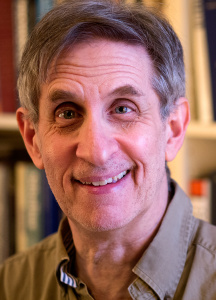 I became aware of Michael Feingold’s activities through mutual acquaintances, and I’ve found his personal journey from “rock musician” to “Ravel specialist” quite fascinating. Recently, I had the opportunity to ask him about that journey. Highlights of our discussion are presented below. PLN: Please tell us about your musical background, and how you came to be interested in the works of Maurice Ravel. What was the “spark”? MEF: To answer that, I guess we need to dip back to my early years. I began playing guitar around the age of 12, being fascinated by Jimi Hendrix and “grunge” music then playing on MTV. I played guitar in various bands beginning at the age of 15, and “gigging” on the weekends while still in high school. I was playing with mostly older musicians. After high school I attended Berklee College of Music in Boston for two years, studying guitar. While at Berklee I started playing at a historic jazz club called Wally’s Café – well-known as a breeding ground for young musicians. 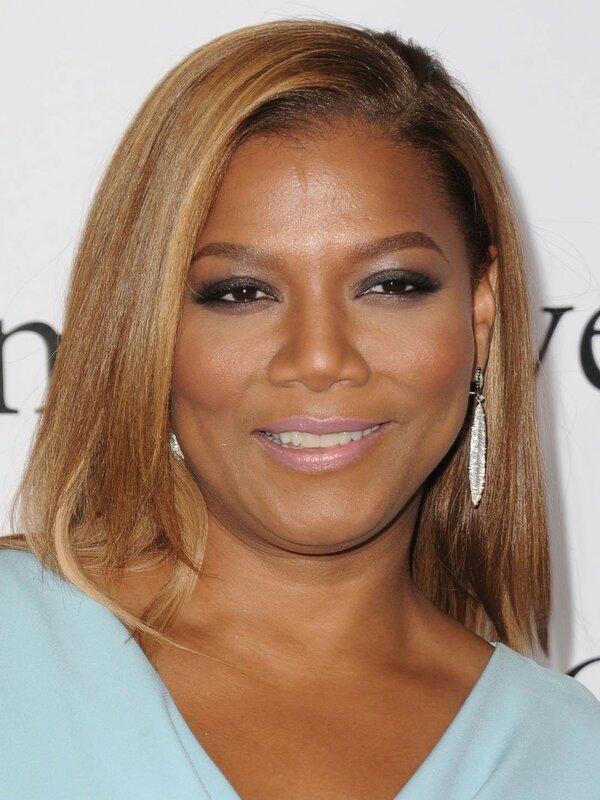 Those experiences led to my first tour in 2005 when I received the call to play guitar backing Queen Latifah. After that tour I moved to Los Angeles and began my professional touring and recording career with artists like Jay-Z, The Roots, Erykah Badu and Kanye West. After about a decade of touring the world with these pop artists, I began to want something more for myself, and that slowly led to orchestration. 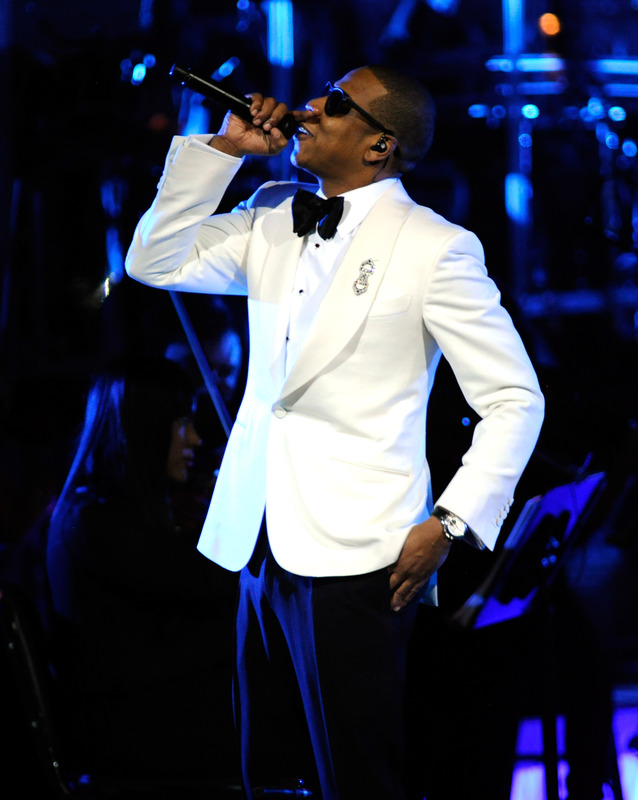 I think a pivotal moment for me was when I was playing guitar for Jay-Z at Carnegie Hall. I helped out a tiny bit with a few of the arrangements, and in that moment I realized that I preferred being the orchestrator to being the guitar player! As for the Ravel “spark,” I remember being in France and purchasing a few Ravel scores – then sitting under a tree in the countryside outside Lyon before a concert with Erykah Badu, just reading them and trying to imagine all of the sounds inside of the pages. Studying those Ravel scores really got my orchestration juices flowing. My main studies in orchestration have been with Alan Belkin, who taught at the Université de Montréal – and through a few degrees of separation, with musicians who studied with the great Nadia Boulanger. I attribute the most precious aspects of my craft to Alan’s teaching and guidance. Given that he taught the fundamental elements of the French aesthetic, I learned a great deal about refinement, clarity and transparency using pure colors. I consider these to be quintessentially “French” aspects of musicality; I hope I’m not stereotyping! PLN: Beyond Alan Belkin, are there other mentors or musicians who have been influential in your development as an orchestrator? 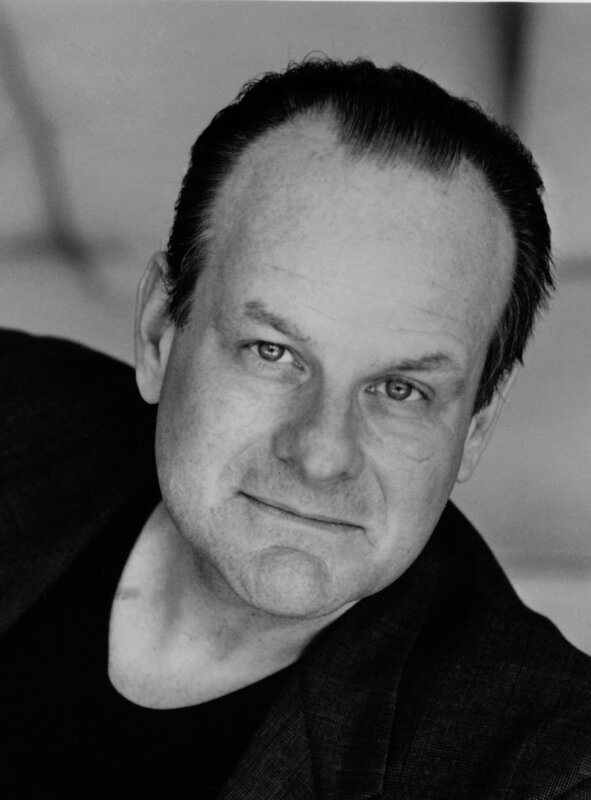 MEF: As far as harmonic influence, I’d have to say the German-American composer and arranger Claus Ogerman. 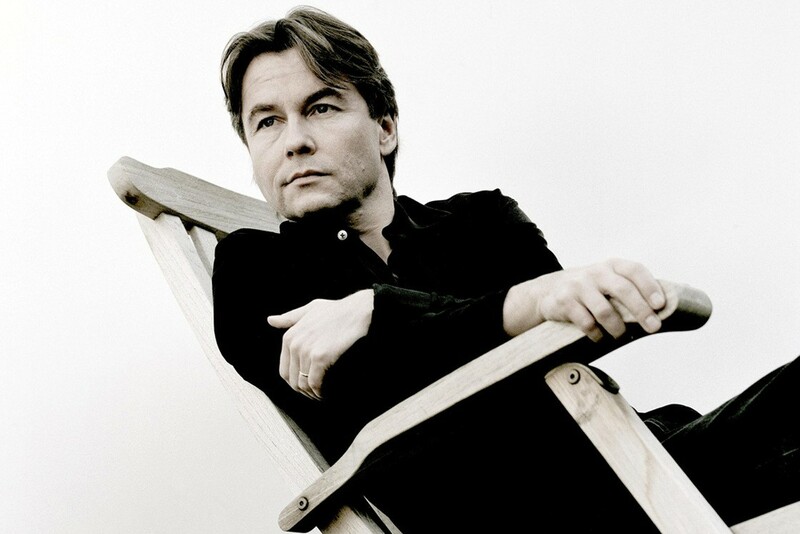 His harmonies just knock me over – particularly his Lyric Suite and Elegia. PLN: Returning to Ravel, can you tell us a bit more about how his music speaks to you so compellingly? 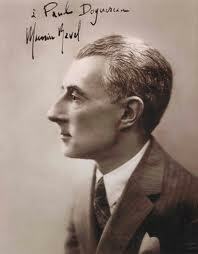 MEF: I became interested in Ravel firstly as a listener. I remember spending many hours on the tour bus listening to his piano pieces while looking out the window. Perhaps it was an antidote to the kind of music I was playing on tour, but I found Ravel’s harmonies to be so elegant and wonderful, and his musical architecture and form unusually airtight and indestructible. Later, as I continued my studies in orchestration, I kept going back to Ravel’s scores, admiring them for their craftsmanship and attention to detail. I really worked to absorb how he’d put everything together – line by line. What I discovered in the process was that nothing in Ravel’s orchestrations is left to chance, and the result is the kind of perfection that’s rarely encountered – even in classical music. This initial exposure led to a desire to acquire Ravel’s handwritten manuscripts, where I could compare the printed scores to what the composer had originally created. And there were numerous discrepancies, as it turned out. PLN: Are there other French composers from the same era that captivate you as much as Ravel? 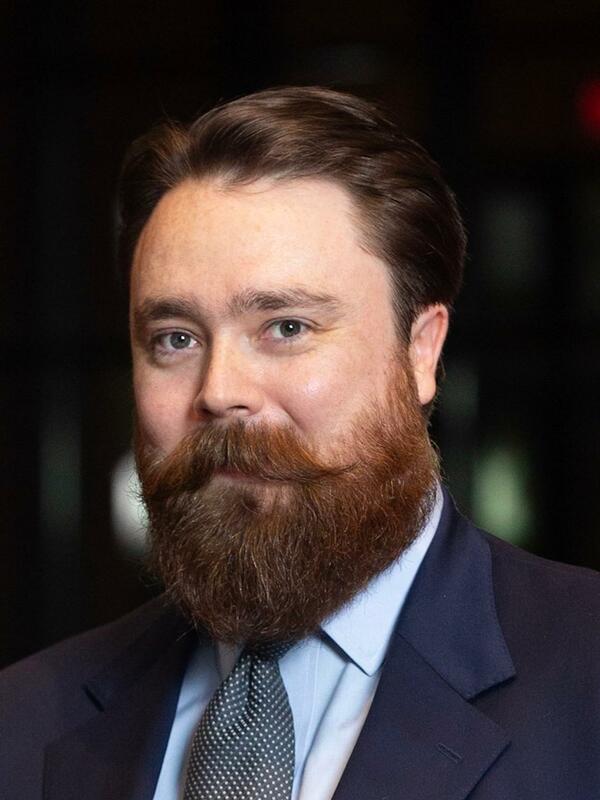 MEF: Charles Koechlin has been a big influence on me as an orchestrator. I’ve carefully studied all four volumes of his treatise on orchestration and I’m a better orchestrator because of it. Koechlin was a very giving teacher and left no stone unturned in terms of explaining the craft. Through Ravel and Koechlin, I also discovered Florent Schmitt, Louis Aubert, Marcel Tournier and Maurice Delage, not to mention the earlier generation of French masters including Massenet, Saint-Saëns, Fauré, Chabrier and André Gédalge. Taken as a whole it is an uncommonly wonderful musical heritage – France’s gift to the world. PLN: Let’s turn to your activity with the Ravel orchestrations. When did this work begin for you? 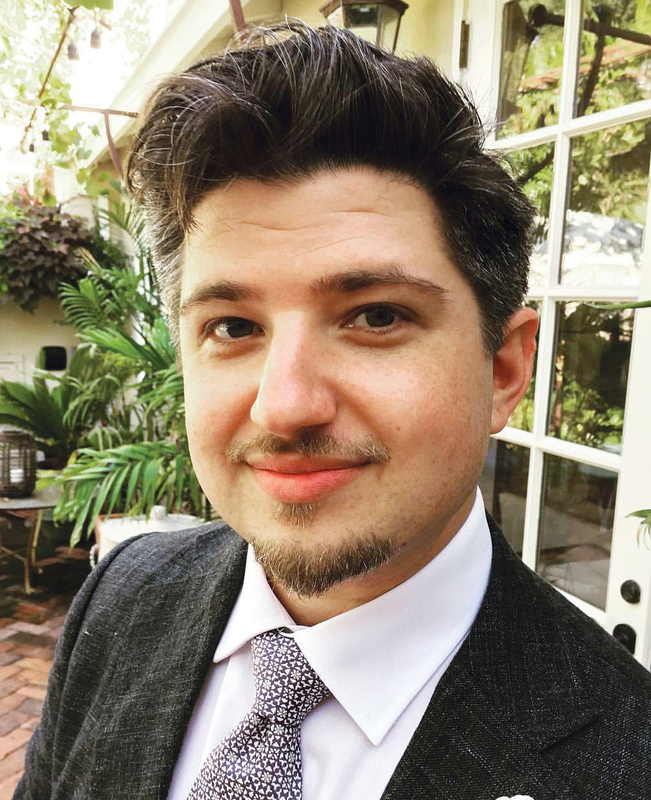 MEF: My work on the Ravel orchestrations began in the fall of 2014 when I moved back to the East Coast from Los Angeles. The first piece that I transcribed for orchestra was a prelude the composer had created in 1913 for students’ sight-reading testing at the Paris Conservatoire. In preparing that particular orchestration, the harmony and simplicity reminded me very much of Ma Mère l’oye, so my model was that piece. Michael Feingold’s home and studio in the Berkshire Mountains of rural Western Massachusetts. 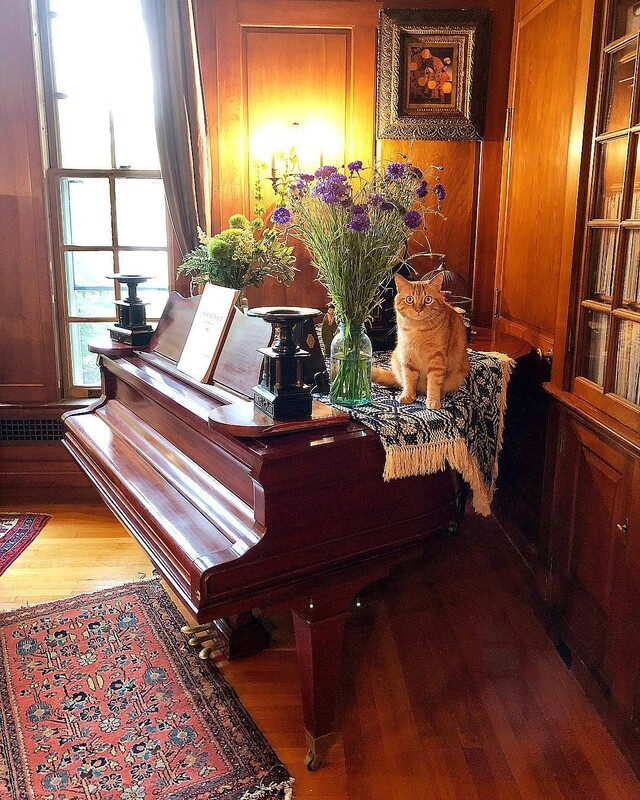 The architecturally significant, historic house is the perfect environment for his orchestration activities, including the preparation of twenty Ravel scores. The feline in the photo is named Mouni, after Ravel’s own cat. That prelude was the first of twenty Ravel compositions that I’ve now orchestrated. As I’ve worked on each one, I’m reminded again and again that Ravel was one of the greatest orchestrators who ever lived – perhaps even the single best one. It’s quite daunting – and humbling – to orchestrate anything by Ravel. How does one do better than Ravel – or even approach that level of artistry and craftsmanship? I just try for clarity, refinement and “polish on top of polish” as I suspect Ravel would have done. PLN: Do you have a particular favorite among all of the Ravel orchestrations that you’ve prepared? MEF: I think I’m most happy with Sur l’herbe. 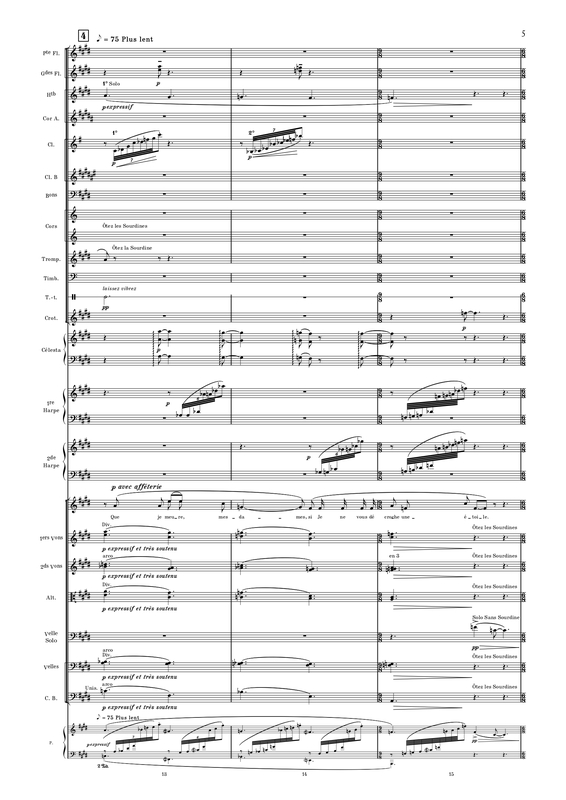 All of the original piano textures in that 1907 composition are very orchestral in nature. I’ve often wondered why Ravel didn’t choose to orchestrate it himself. 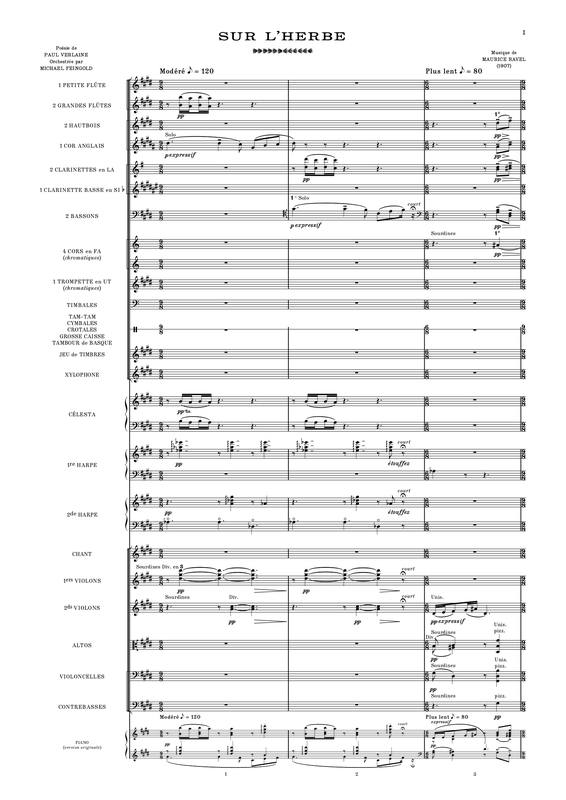 The first page of Michael Feingold’s orchestration of Maurice Ravel’s 1907 composition Sur l’herbe, prepared in 2016. MEF: Indeed it is! My work in tracking errors in the printed editions began as a study exercise, but now I see it as highly valuable to anyone wanting to prepare critical editions of the music. I’ve collected every Ravel manuscript I can find from various collections. In the process, I’ve discovered so many errors and discrepancies – including ones that are even missed in critical editions. Michael Feingold working in his studio in the Berkshires. In addition to that effort, I’ve also been focusing on writing about Ravel’s orchestration style. 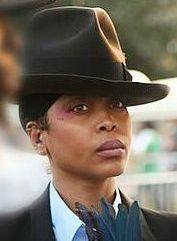 One such endeavor focuses on his orchestration preferences, including his treatment of color and clarity. The other focuses on how Ravel orchestrated his own piano music (as well as the piano works of other composers such as Debussy’s Danse and Sarabande), and examines specific gestures using a before/after side-by-side analysis from piano to orchestra. My tentative title for that book is Textures & Gestures of Maurice Ravel. I feel that there is a void in Ravel’s published orchestrations in that the original piano parts aren’t displayed at the bottom of the page — the one exception being the Arbie Orenstein Eulenberg edition of Pictures at an Exhibition. As an orchestrator, seeing the two together is highly valuable because you can really discern what Ravel was thinking about in the instrumentation. I have already prepared many of the works in this fashion as a learning aid, and I hope to publish them at some point with Francois Dru as part of his wonderful Ravel Edition series produced in concert with Les Amis de Maurice Ravel. I’d also like to mention that I’m very grateful for the generous aid I’ve received in my endeavors from a cadre of eminent Ravel scholars. In addition to Arbie Orenstein they include Manuel Cornejo, Stephen Zank, Yegor Shevtsov and Emily Kilpatrick. PLN: Are there certain orchestra conductors on the scene today who you feel are particularly effective in conveying an authentic Ravel style in their interpretations? 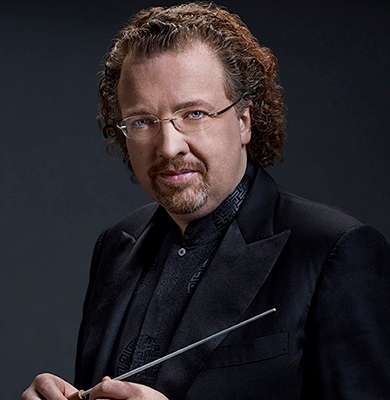 MEF: I love Stéphane Denève‘s artistry, along with Leonard Slatkin and François-Xavier Roth. I own all of their recordings of Ravel’s works. PLN: Going beyond Ravel, I understand that you have also been engaged in a project regarding the Durand published editions. Can you tell me about that initiative? MEF: The goal of this project is to create a faithful reproduction of the Durand et fils “house style” of published music scores. For the past three years I’ve been working to re-create the famous Durand “look”, which is so elegant and inviting when compared to the house styles of other publishing firms. As you know, Durand was the publisher of the French composers we all adore – Debussy, Ravel, Florent Schmitt, Roussel, Aubert and so many others. I consider this project highly important because Durand abandoned that “house style” long ago, and there exists no commercial music or text fonts from that bygone era. To resurrect it has been an exhaustive “labor of love,” to say the least! PLN: It does sound like an arduous endeavor. Tell us more about how you’ve approached this work. 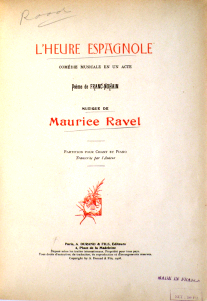 A vintage copy of the score to Maurice Ravel’s L’Heure espagnole, published by Durand (1911). The approach was to scan each individual musical glyph at high resolution (note heads, stems, clefs, lines, numbers and so forth). This was done five times over. Out of the five “specimens” scanned, the next step would be placing and tracing them in a software program, and lastly placing them into Sibelius notation software. Needless to say, this is a project that’s taken a number of years to complete. In its infant stages, it was just myself and my wonderful copyist collaborator, the New York City-based music engraver Matthew Maslanka. Later on, I met Jawher Matmati, a Tunisian musician now residing in Belgium who shared our love for the Durand “house style” and who had already begun to create his own music font. He and I began collaborating on the laborious steps in the process. We enlisted a fourth person – Wesselin Christoph Karaatanassov in Bulgaria – a music engraver who would trace our scans using software. When that task was complete, it would go to Jawher who would place each individual glyph into Sibelius along with scaling it properly. It was a truly “transnational” endeavor. An example of the re-creation of the Durand “house style.” The project has been multi-year effort involving a transnational team of experts led by Michael Feingold. PLN: Where can we see applications of the re-created Durand “house style” today? 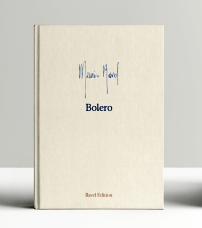 The Ravel Boléro Edition, published in 2018. MEF: For the moment, I have been using it for my own orchestrations of Ravel’s music and for demonstrating examples in the books I’m writing. It was also used at the beginning of preparing a new book about Ravel’s Boléro, published this year in collaboration with Les Amis de Maurice Ravel — but that project took a different direction in the midst of production. I also see the Durand house style being highly valuable for anyone who wishes to engrave music that presents that classic look. 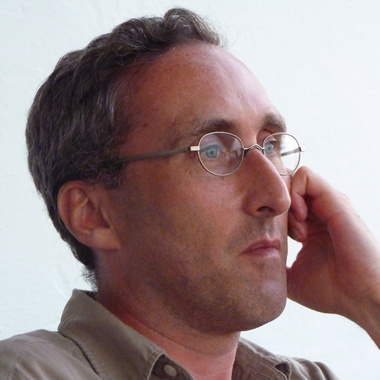 For instance, if there was a Florent Schmitt composition that only existed in manuscript form – such as his Prix de Rome cantata submissions, the early Ramayana-inspired symphonic poem Combat de Rakshasas et délivrance de Sitâ or the large-scale choral work Fête de la lumière that inaugurated the nightly light-and-water shows at the Paris Exposition in 1937 – using this re-created Durand “house style” would be 100% faithful to the period. Incidentally, when I showed the results of our efforts to François Dru, the editor of the new Boléro book who had also once worked for the Durand-Salabert-Eschig publishing firm, his jaw dropped! PLN: What are your future musical plans and projects regarding Maurice Ravel and beyond? MEF: I still have a foot in the R&B and pop music world. I continue to work extensively in film and videogame orchestration, including as the lead orchestrator for Bungie’s Destiny series. 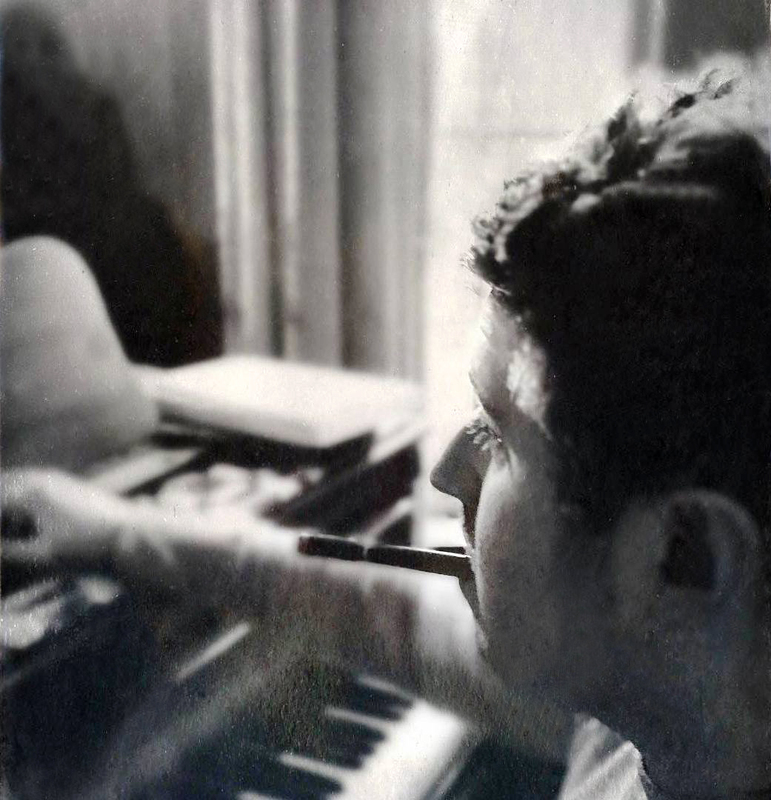 In film, my biggest influence is probably Conrad Pope who has prepared orchestrations for John Williams, Alexandre Desplat, James Newton Howard, Danny Elfman and others. To me, Conrad is the Ravel of film orchestrators – and he’s also been kind enough to answer the occasional questions from me as I’ve worked in this realm. I also have plans to continue teaching privately, which I have done for some time now. 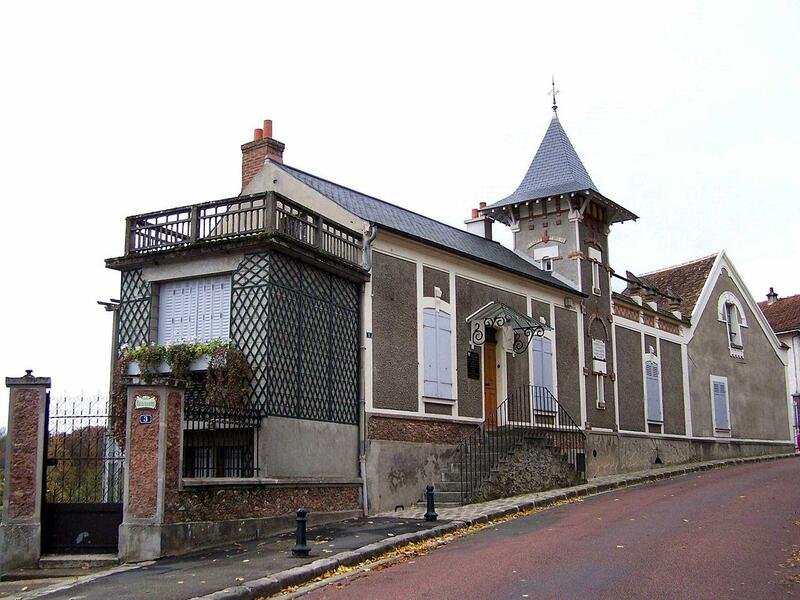 On the Ravel front, my most immediate objective is to take a sabbatical from my other activities, rent a house near Monfort l’Amaury where Ravel lived, and complete my Ravel books. I would also love to examine the microfilm documentation of the Taverne Collection at the Bibliothèque National de France, which contains so many of Ravel’s most rare and remarkable manuscripts. Beyond this, a longer-term dream is to have my Ravel orchestrations performed in some capacity as individual pieces or as a full program, and I would also love to see them published as a collection. This entry was posted in Classical Music, Composers, French Composers, Piano Four-Hand Music, Piano Music, Vocal Music and tagged Alan Belkin, Amis de Maurice Ravel, Arbie Orenstein, Charles Koechlin, Claus Ogerman, Conrad Pope, David Diamond, Emily Kilpatrick, Erykas Badu, Esa-Pekka Salonen, Florent Schmitt, Francois Dru, Francois-Xavier Roth, Jawher Matmati, Jay-Z, Jerry Rife, L'Heure espagnole, Leonard Slatkin, Les Apaches, Manuel Cornejo, Matthew Maslanka, Maurice Ravel, Michael Feingold, Queen Latifah, Stephane Deneve, Stephen Zank, Wessselin Karaatanassov, Yegor Shevtsov. Bookmark the permalink. « Musiques intimes (1891-1904): Captivating piano miniatures by Florent Schmitt that reveal the composer in his most introspective moods.